Couches and sofas are important considerations in furnishing and decorating a home. So how can one find a sofa or couches that’s right for a room, offers hypoallergenic protection, and accommodates budgets? Read on to learn more not only about the right type of hypoallergenic couches, but the best brands of this type on the market today. Buying an hypoallergenic sofa or couch needs careful consideration. Ideally, you’ll be living with this purchase for a decade or more. In that sense, you’ll be looking for a piece of furniture that’s comfortable, durable, and attractive. Some studies have shown that certain covering types can reduce allergens in an area by up to 90 percent. But no piece of this type of furniture can reduce allergens completely in a home. They also can cause allergies. It’s quite rare, but some of this furniture contains products (like chemicals or plastics) that can trigger reactions in some individuals. Whether it’s breakfast or shampoo, everything sounds better if it’s organic. In reality, organic fabrics are unregulated, can be more difficult to clean, and are often more expensive than synthetically produced ones. The couch’s stuffing isn’t meant to be removed and treated. Furniture filling can offer an attractive target for mites, especially filling that’s advertised as “organic” or containing “natural fibers”. If you’re trying to avoid mite contact, probably a latex foam fill is your best option. Hypoallergenic furniture is more expensive. This brown leather covered sofa is “button topped” and designed to resemble a classic Chesterfield sofa. It is filled with natural feather down and has a solid wood back, sides, and legs. 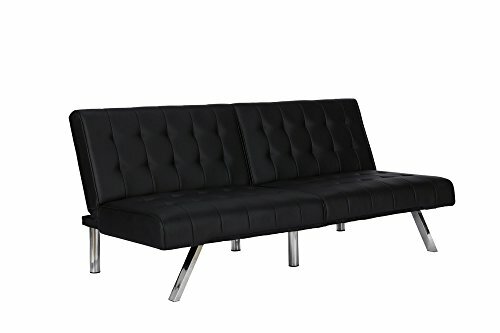 This sofa has a sitting depth of 25 inches and is ninety three inches long. While its leather covering creates an effective dust mite barrier, there have been a number of complaints about tears to it in addition to ruptured stitching. As this sofa’s fill consists of bird down (a dust mite favorite), the overall quality of this product makes it a poor hypoallergenic sofa choice. This Chesterfield style sofa appears to be covered with faded leather. 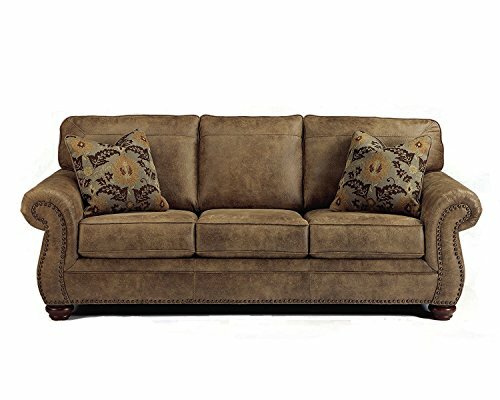 But the faux suede fabric actually used provides a durable, easy to clean sofa at an affordable price. The sofa is 92 inches long and includes throw pillows to complete its look. With its easy to clean dense fabric and polyurethane fill, this couch is a good hypoallergenic choice for both dust mites and pet dander. Its construction holds up well to normal household use and traffic as well. This stylish and modern combination couch and lounger offers the options of upright seating and a lounger that can be combined with other bedding for a larger sleep option. The couch is 71 inches in length. Buyers can choose between faux leather and linen as a couch covering. The Emily Convertible is often sold as part of a retailer’s package which can include an ottoman or a footstool. Both of these pieces are covered with similar fabrics. This product is a modern, stylish piece of furniture, with a price that certainly fits a number of budgets. The couch’s foam fill certainly deters dust mites as well, another plus for this product. Unfortunately, its fabrics are of a very thin quality, making both types prone to tearing. Combine this with this couch’s poor construction and instability when used, and buyers may well want look elsewhere for a sofa that combines economy and function. This sectional sofa set is covered in bonded leather, has poly fiber fill in its cushions and back, and is 112 inches long. This sofa has gotten high marks from buyers for its “bonded leather” covering. This type of covering combines actual leather with recycled plastic. The result is a product that often holds up better than actual leather. This makes this covering a good hypoallergenic one. Unfortunately, there have been multiple issues of couch and ottoman cushions splitting after what consumers are claiming is “normal” use. There have been other complaints of a chemical odor caused by the covering. This generally dissipates within a couple of weeks of use. 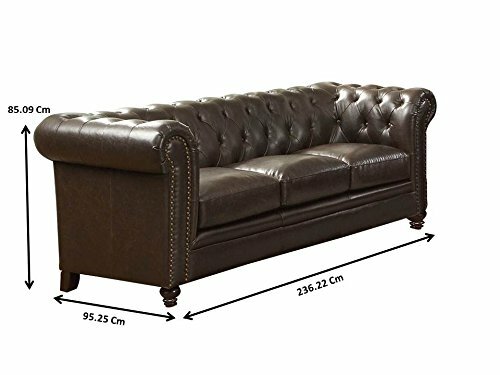 This is not a bad sofa for the price. However, given the cushion splitting issue, buyers may want to limit where they place it and whom they allow to use it within the home. 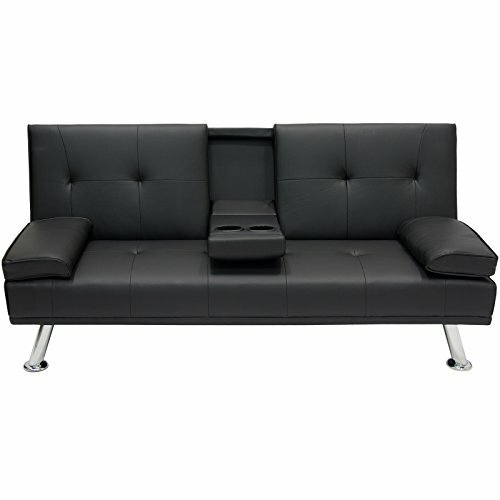 This sleek and modern sofa is covered with faux leather, and can double as a futon by detaching its armrests. It’s possible to break down this product and store its components in the product’s base, making this a good choice for buyers with space and storage limits. This sofa has a normal length of 30 inches, which expands to 38.5 inches when the product is in futon mode. This product features both a covering and a fill that makes it a good candidate for hypoallergenic furniture. Unfortunately, this particular product has received numerous complaints about both its comfort level and accessibility for sitting and sleeping. This product might work best in a child’s room or as seating in a home theater. Two of the most common household allergens are pet dander and dust mites. Sofas and couches tend to attract both types like metal to magnets, so replacing this type of furniture with hypoallergenic pieces is a healthy idea. But because any furniture manufacturer can call its product “hypoallergenic” regardless as to whether it is or not, consumers should be cautious.